On the blog today I bring to you Après in central London, a bar and cocktail lounge located just off Oxford Street, literally opposite Selfridges! It features a smoking terrace, trendy cocktail bar with ample menu choice and various spots to sit down and enjoy a bite to eat too. 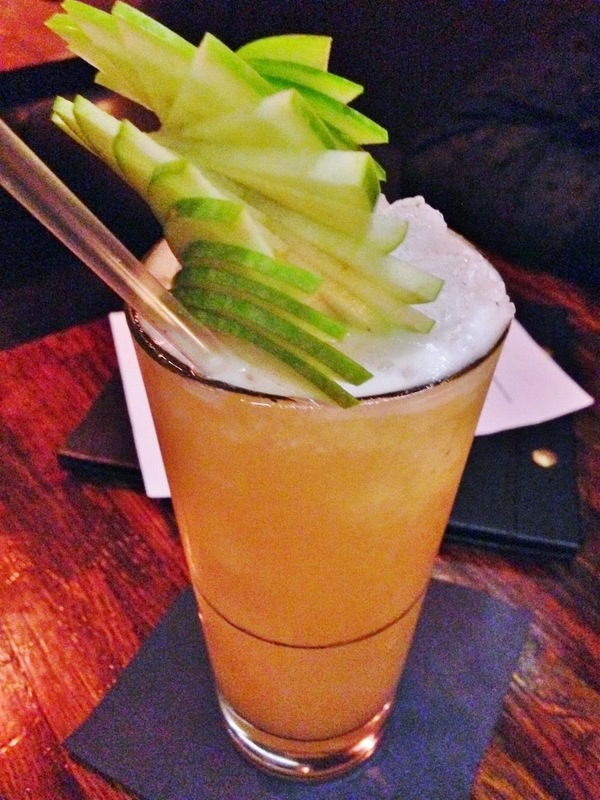 I had: Pushkin Cocktail - Pear vodka, apple liqueur, apple, pineapple & lemon juices, pear puree & spiced caramel syrup £9.00. Alice had: Raspberry Mule Vodka Cocktail - Raspberries & Ginger Beer £8.50. The Pushkin Cocktail complete with a fairly flawless carved apple cocktail statue! I guess we could count this as one of our 5 a day too? 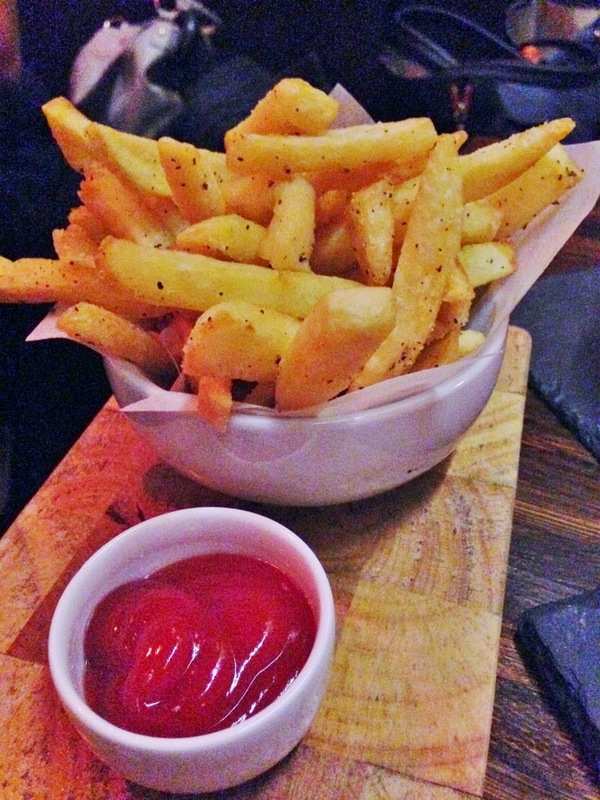 One thing that me and Alice agreed on the most, was that the chips were amazing! I know that's only a small detail, but the flavour coming out of these bad boys was explosive! 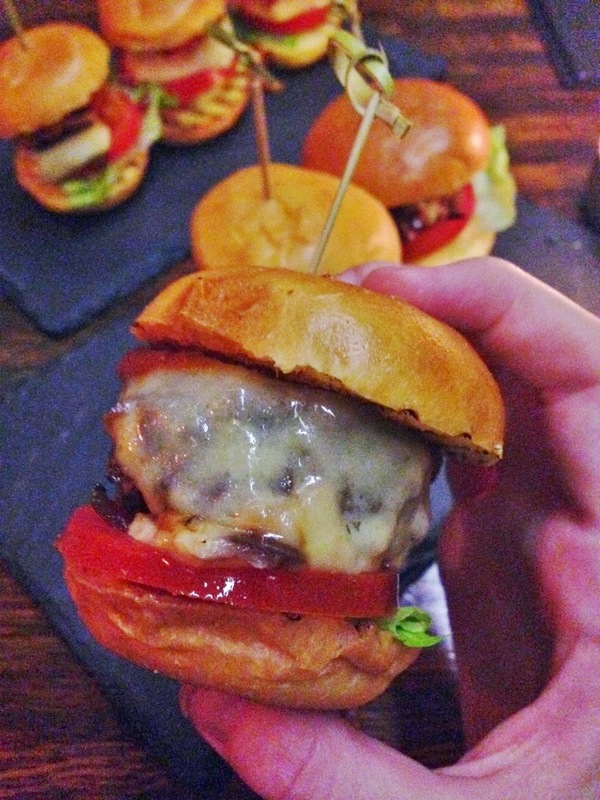 These mini cheeseburger sliders definitely packed a punch too! Be warned, these guys may look small but they sure are filling after you've had one or two. Definitely the perfect appetizing bar snack to have alongside 1,2, or 3 cocktails after work! 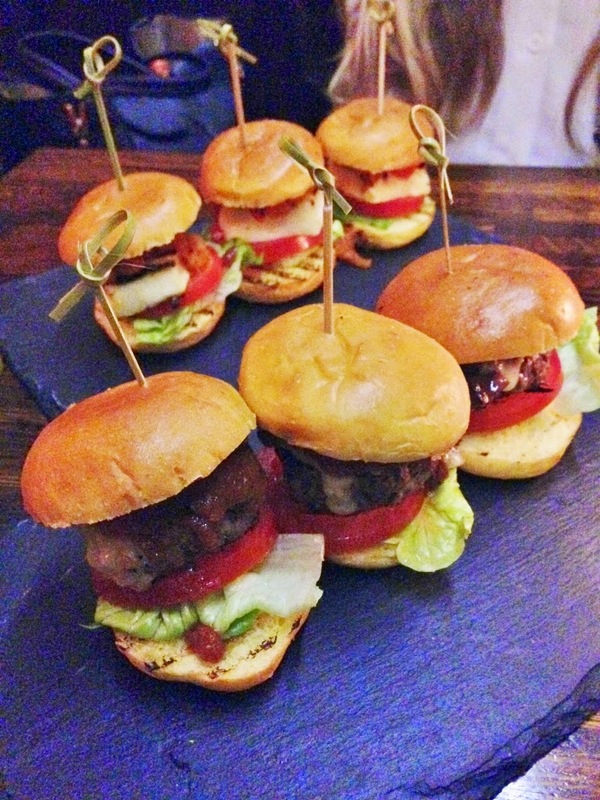 We also opted for halloumi sliders which were scrummy too, packed with some roasted red peppers and tasty relish. 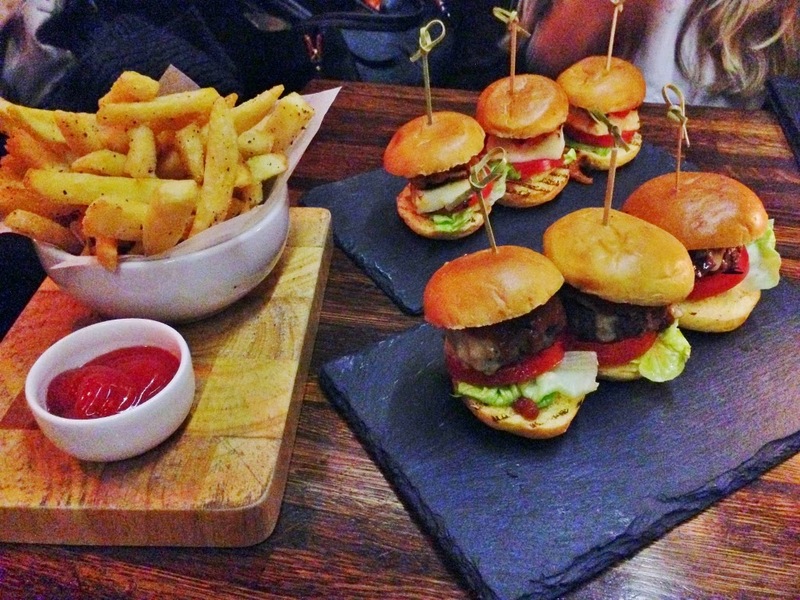 Having 6 mini sliders between us and a portion of chips meant we were pretty full up. I'd definitely recommend trying some of these or the other 'in-between the buns' slider options from the menu. 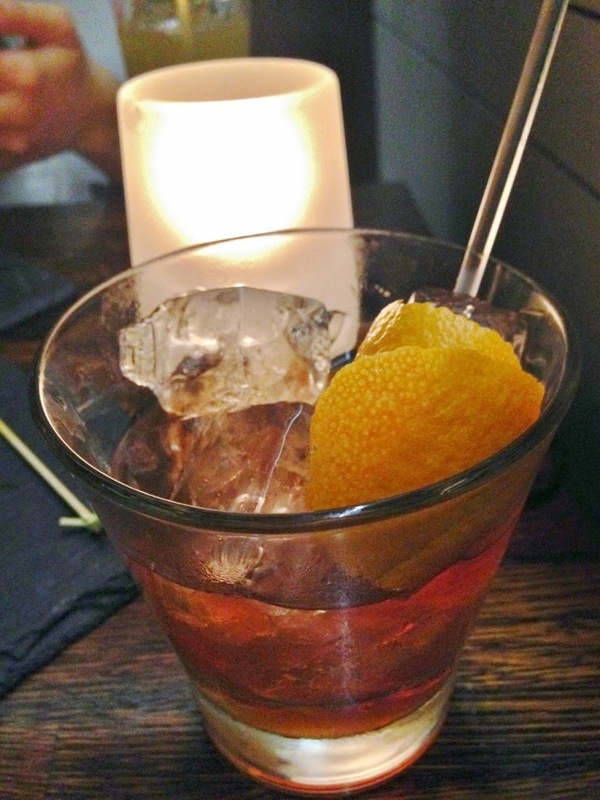 I finished off with a 'Spiced Old Fashioned' Cocktail which included Rebel Yell and Wild Turkey Bourbons & a house spiced old fashioned syrup £9.50. 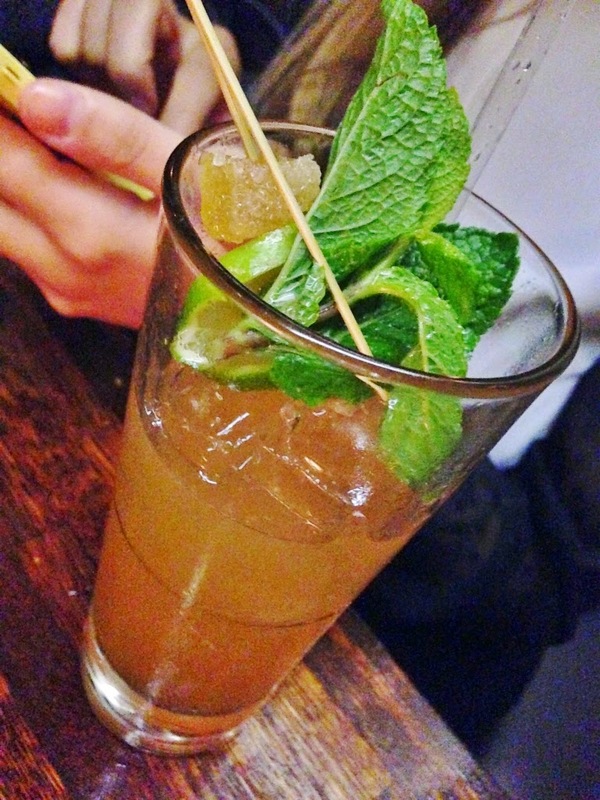 This was served with a lick of orange zest, which gives this drink a bit of a zing. I'll be honest, I wasn't expecting the taste, it was preeetty strong going for a cocktail, more like a whisky on the rocks. I guess that's why they mention on the menu.. 'Not to be rushed'. That definitely was a clear indicator to the type of drink I had chosen from the menu. None the less, it was tasty, I just had to step down a notch my usual cocktail consuming pace! 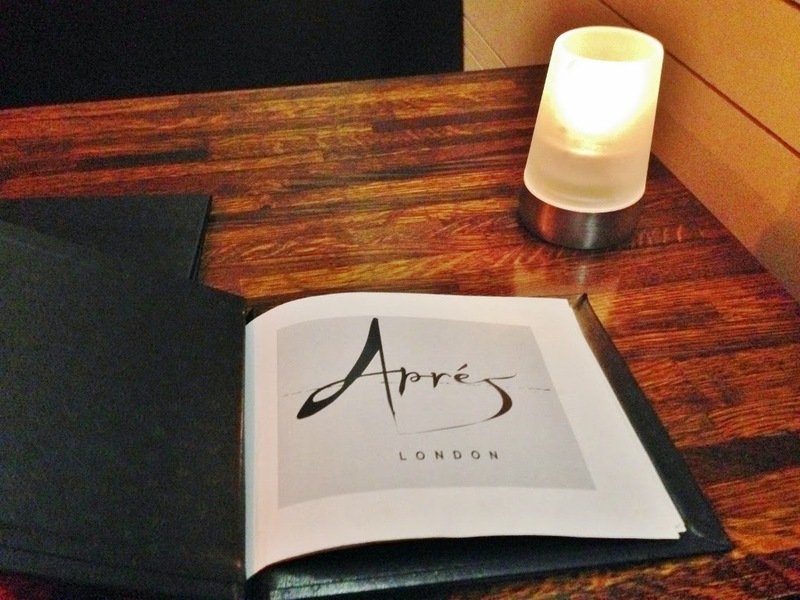 Overall, the experience at Apres London was a fab combination of bold, colourful flavours and the simple yet tasty bar snacks really complimented the cocktails. The experience can best be described as similar to one I have experienced at the various Dirty Martini hotspots across London. However, Apres London, was definitely a bit more low-key and a lot quieter on the music front.. still with atmospheric dimly lit lighting, but not hidden within an underground tunnel. It's opposite Selfridges, so why not put some dollar aside and head on over for some late afternoon - evening grub. I'd definitely recommend it. If you enjoy reading my indulgent reviews, keep your eyes open for my next review, where I visit The Diner an american-style establishment in Covent Garden. Ooo this looks so tasty and the cocktails look fun! Ill have to take a look next time I am down! Yummy! 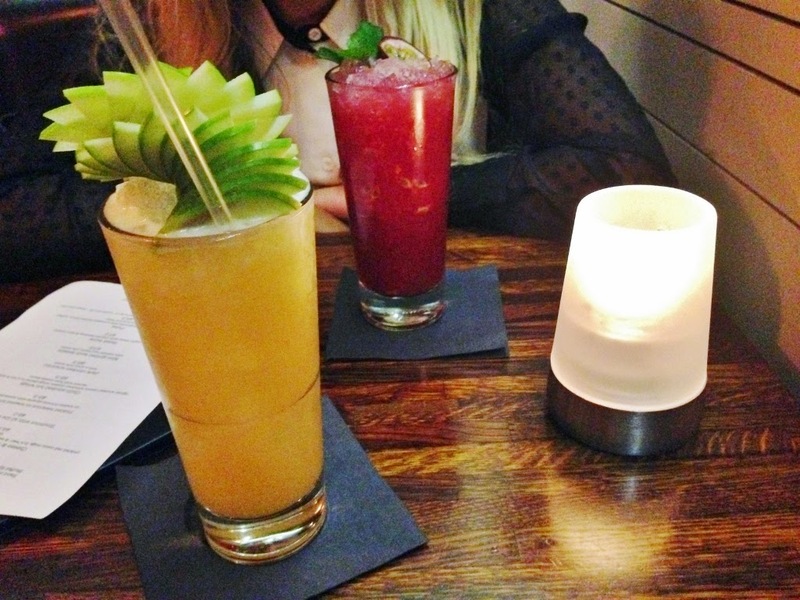 Everything looks great and specially those cocktails!